Who do you trust the most in this life? Yourself? Or God Our Father? It’s a great question to ask yourself each and every day while you are saying your prayers. If the answer is yourself, then you are setting yourself up for a great fall. Satan can easily trip up the greatest person on earth who trusts in himself, because they share the same personality traits – love of self and extreme pride. That road leads straight to hell. If, on the other hand, the answer is God, then satan doesn’t have a …prayer. If you plug in your thoughts, words, and deeds into the mind of God (if you read and study scripture, then you will know the mind of God) at all times & humble yourself, then you are on the road to salvation. Total trust in God as your loving Father will help you to endure suffering that He deems necessary for your salvation. Sufferings that come along in this life will then be seen for what they really are – Ways to bring you closer to God and to His will. If you truly understand the sufferings of Christ, and how we are supposed to unite our sufferings with His (1 Peter 4:13), then you will learn to abhor the fleeting pleasures of this life and to seek out the things of the next life. And one thing to also remember – Your sufferings can be used for the benefit of others, as well as for the Church (2 Corinthians 1:6 and Colossians 1:24). You may even be chosen to be a victim soul , like St. Gemma or St. Serafina ! Let’s face it – No one wants someone else to tell us what to do. We all like to be independent thinkers and doers. A wild horse certainly doesn’t like it when someone puts a saddle on him and a bit in his mouth. But that is exactly what God needs to do to us if we are interested in getting to Heaven. Jesus himself says that his yoke is easy, and his burden light (Matthew 11:30). His yoke of suffering teaches us all that we need Him, and that we are not in as much control of our lives as we think we are. While we are going through the suffering He sends us, it sure doesn’t seem that it's easy, but if one compares their suffering to those of Christ, then our sufferings seem easy. And besides all that, if left to ourselves, most of us will choose the things of this world - fornication, drunkenness, gluttony, riches, pleasures, extravagant homes, etc. And none of this stuff leads to heaven; on the contrary, it all leads straight to hell. God wants to be our loving Father at all times. A lot of people treat God like He isn’t there until something goes horribly wrong in our lives. Then, we treat Him like an emergency rescue team, to come and save us from our disaster. If we totally trust in God as our loving Father AT ALL TIMES, then we will have strength to overcome whatever evil we face, and many traps that satan has planned for our future will not come to pass. God doesn't want us trusting in Him 50% of the time, or 20% of the time. God wants us trusting in Him 100% of the time, so the next time you have a decision to make - any decision - give it to God, and He will let you know the way you need to go. Otherwise, the enemy will take over and more often than not, you will not choose wisely. St. Therese of Lisieux, a doctor of the Church, said that if we say that we deserve purgatory time because of our imperfections, then we will surely get purgatory time. On the other hand, if we totally trust in God as our loving father and in His Divine Mercy to take us straight to heaven, then we will go straight to heaven. In other words, you get from God exactly what you desire from Him. Looking at God as a stern judge who will surely send you to purgatory instead of looking at God as your loving Father who desires to pull you straight up into heaven is a BIG mistake. Read a great article on St. Therese and this philosophy here. "St. Therese had a confrontation regarding this topic with Sr. Marie Febronia, who not only was sixty-seven years old but also was sub-prioress. She had heard that St. Therese encouraged the novices to believe that they could go straight to heaven. She did not like this as she considered this kind of confidence presumptuous, and thus she reproached St Therese. St Therese tried lovingly and calmly to explain to Sr. Febronia her point of view but with no success as Sr. Febronia clung to belief. For St. Therese God was more Father than Judge, and she took the liberty of finally responding, "My sister, if you look for the justice of God you will get it. The soul will receive from God exactly what she desires." The year had not passed when, in January 1892, Sr. M. Febronia together with other sisters fell prey to the flu and died. Three months later Sr. Therese had a dream which she related to her Mother Prioress and which was then documented: "O my Mother, my Sr. M. Febronia came to me last night and asked that we should pray for her. She is in Purgatory, surely because she had trusted too little in the mercy of the good Lord. Through her imploring behavior and her profound looks, it seemed she wanted to say, You were right. I am now delivered up to the full justice of God but it is my fault. If I had listened to you I would not be here now." 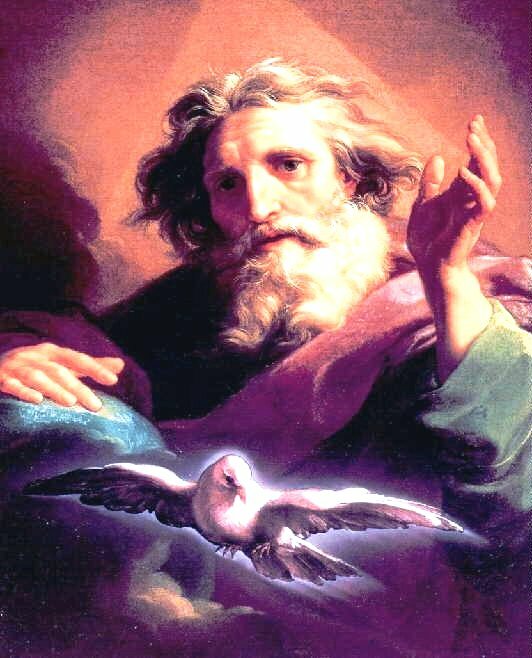 Here are some great quotes from Sacred Scripture on the benefits of having total trust in God, rather than ourselves. Chronicles 5:20: and when they received help against them, the Hagrites and all who were with them were given into their hands, for they cried to God in the battle, and he granted their entreaty because they trusted in him. Psalm 4:5: Offer right sacrifices, and put your trust in the LORD. Psalm 22:4 – 5: In thee our fathers trusted; they trusted, and thou didst deliver them. To thee they cried, and were saved; in thee they trusted, and were not disappointed. Proverbs 16:20: He who gives heed to the word will prosper, and happy is he who trusts in the LORD. Proverbs 28:25-26: A greedy man stirs up strife, but he who trusts in the LORD will be enriched. He who trusts in his own mind is a fool; but he who walks in wisdom will be delivered. Proverbs 29:25: The fear of man lays a snare, but he who trusts in the LORD is safe. Isaiah12:2: "Behold, God is my salvation; I will trust, and will not be afraid; for the LORD GOD is my strength and my song, and he has become my salvation." Isaiah 26:3-4: Thou dost keep him in perfect peace, whose mind is stayed on thee, because he trusts in thee. Trust in the LORD for ever, for the LORD GOD is an everlasting rock. Jeremiah 5,7: Thus says the LORD: "Cursed is the man who trusts in man and makes flesh his arm, whose heart turns away from the LORD. "Blessed is the man who trusts in the LORD, whose trust is the LORD. Jeremiah 39:18: For I will surely save you, and you shall not fall by the sword; but you shall have your life as a prize of war, because you have put your trust in me, says the LORD.'" Daniel 6:23: Then the king was exceedingly glad, and commanded that Daniel be taken up out of the den. So Daniel was taken up out of the den, and no kind of hurt was found upon him, because he had trusted in his God. Wisdom 3:9: Those who trust in him will understand truth, and the faithful will abide with him in love, because grace and mercy are upon his elect, and he watches over his holy ones. Wisdom 12:2: Therefore thou dost correct little by little those who trespass, and dost remind and warn them of the things wherein they sin, that they may be freed from wickedness and put their trust in thee, O Lord. Wisdom 16:24,26: For creation, serving thee who hast made it, exerts itself to punish the unrighteous, and in kindness relaxes on behalf of those who trust in thee. So that thy sons, whom thou didst love, O Lord, might learn that it is not the production of crops that feeds man, but that thy word preserves those who trust in thee. Sirach 2:6,8,10,13: Trust in him, and he will help you; make your ways straight, and hope in him. You who fear the Lord, trust in him, and your reward will not fail; Consider the ancient generations and see: who ever trusted in the Lord and was put to shame? Or who ever persevered in the fear of the Lord and was forsaken? Or who ever called upon him and was overlooked? Woe to the faint heart, for it has no trust! Therefore it will not be sheltered. Sirach 11:21: Do not wonder at the works of a sinner, but trust in the Lord and keep at your toil; for it is easy in the sight of the Lord to enrich a poor man quickly and suddenly. Sirach 32:24: He who believes the law gives heed to the commandments, and he who trusts the Lord will not suffer loss. Maccabees 2:61: "And so observe, from generation to generation, that none who put their trust in him will lack strength. Maccabees 8:18:"For they trust to arms and acts of daring," he said, "but we trust in the Almighty God, who is able with a single nod to strike down those who are coming against us and even the whole world." Romans 4:5: And to one who does not work but trusts him who justifies the ungodly, his faith is reckoned as righteousness. Jeremiah 29:11:"For I know the thoughts that I think toward you, says the Lord, thoughts of peace and not of evil, to give you a future and a hope." Proverbs 16:9: "A man’s heart plans his way, but the Lord directs his steps." Proverbs 1:33: "But whoever listens to me will dwell safely, and will be secure, without fear of evil." Proverbs 3:5: "Trust in the Lord with all your heart, and lean not on your own understanding; in all your ways acknowledge Him, and He shall direct your paths." Isaiah 48:17: Thus says the Lord, Your Redeemer, the Holy One of Israel: "I am the Lord your God, who teaches you to profit, who leads you by the way you should go." Psalm 32:8: "I will instruct you and teach you in the way should go; I will guide you with My eye." Psalm 48:18: "For this is God, our God forever and ever; He will be our guide even to death." Isaiah 58:11: "The Lord will guide you continually ..."
Jeremiah 10:23: "O Lord, I know the way of man is not in himself; it is not in man who walks to direct his own steps." Psalm 37:4,7: "Delight yourself also in the Lord, and He shall give you the desires of your heart. Commit your way to the Lord, trust also in Him, and He shall bring it to pass ... Rest in the Lord, and wait patiently for Him." Once, there was a man of good cheer. This man was the favorite friend of the King, and they did many things together. There was just one thing very particular about this friend – no matter what happened in life, might it have been good or bad, the friend would always respond, “This is good.” This was very annoying to most people, including the King, but he liked spending time with him. One day, the King and his friend rigged up a gun and decided to try it out by going hunting. Something went terribly wrong when the King pulled the trigger. The gun somehow backfired and blew off his thumb. His friend commented in the usual way, “This is good.” Now this was too much to take even for the King. He grew very angry at his friend and had him thrown in jail.